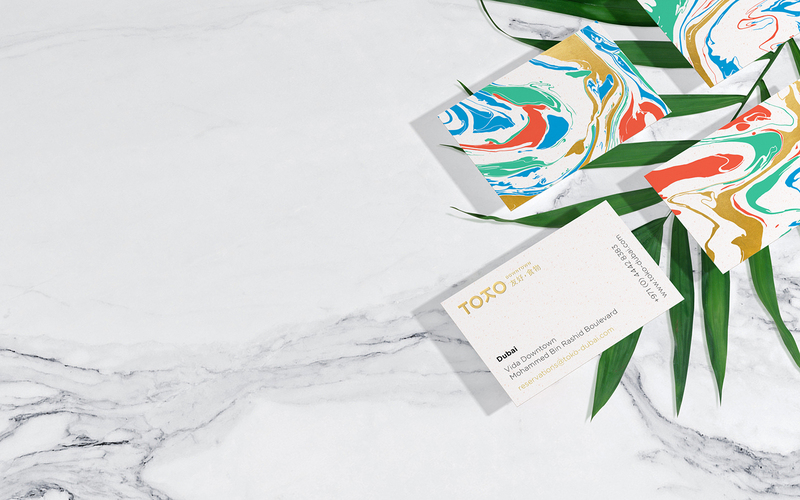 Michael Chereda designed these business cards for TOKO Downtown, an Asian fusion restaurant that offers Japanese and Chinese urban cuisine in Dubai.  “We conducted researches of the Japanese culture, painting and modern art in search of the golden mean. Having attentively studied traditional painting of Japan, we paid attention to the ‘marbling’ paper technique (floating ink). With its help we received patterns, unique in texture. 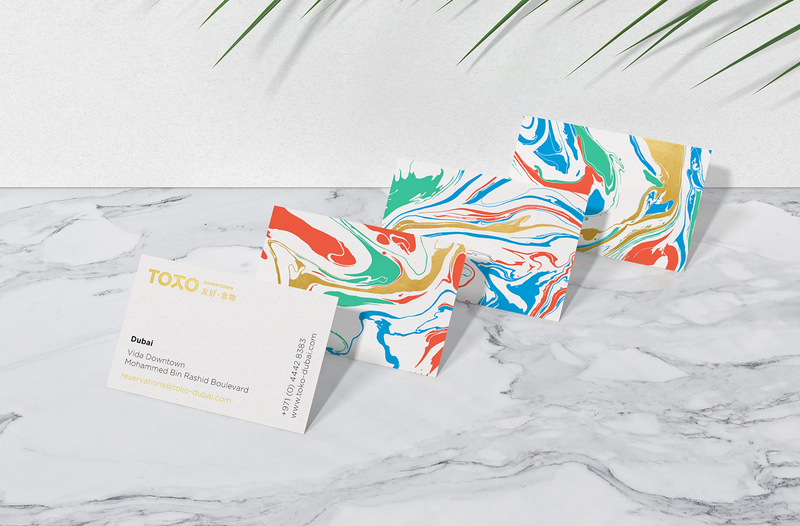 They also formed the basis of the entire visual identity of the restaurant,” said Maria Chereda, Co-Founder of the BrightHead Studio. Indeed, it’s a smart choice to utilize foiling method to portray an already famous, sophisticated brand, while at the same time create a visual identity that’s truly remarkable!